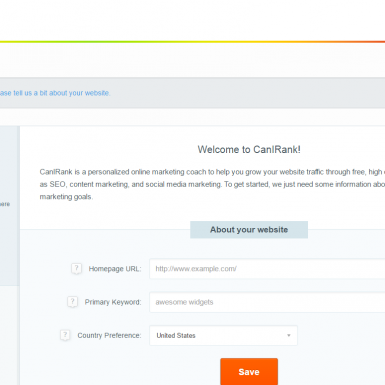 Can I Rank tool is designed to actually answer the question: “Can I rank?”. CIR has an awesome user-centered interface that guides you step-by-step to getting answers for all your qustions about what you should do to improve your ranking. You’ll see all your strengths, weaknesses and missing parts of a puzzle. 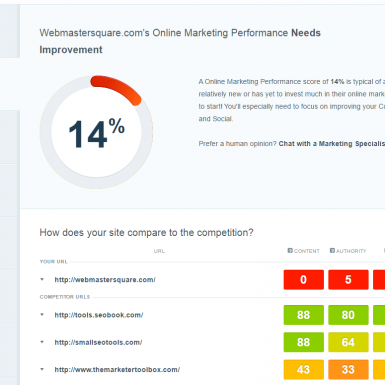 Can I Rank’s report provides a breakdown of how does your sites compare to the competition and includes action guided data. 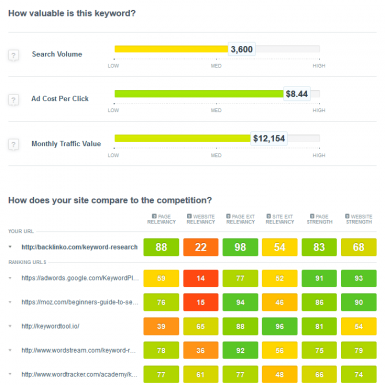 You will see what keywords your competitors are targeting, related terms, and keywords with the great potential specifically for your site. Sure, you can sort them by volume, ad value, and ranking difficulty in seconds. 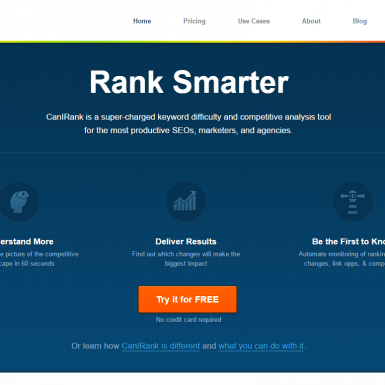 CIR’s ranking probability is pretty accurate, and the official site claims it to be the only SEO tool that calculates a keyword ROI score specifically for your site. 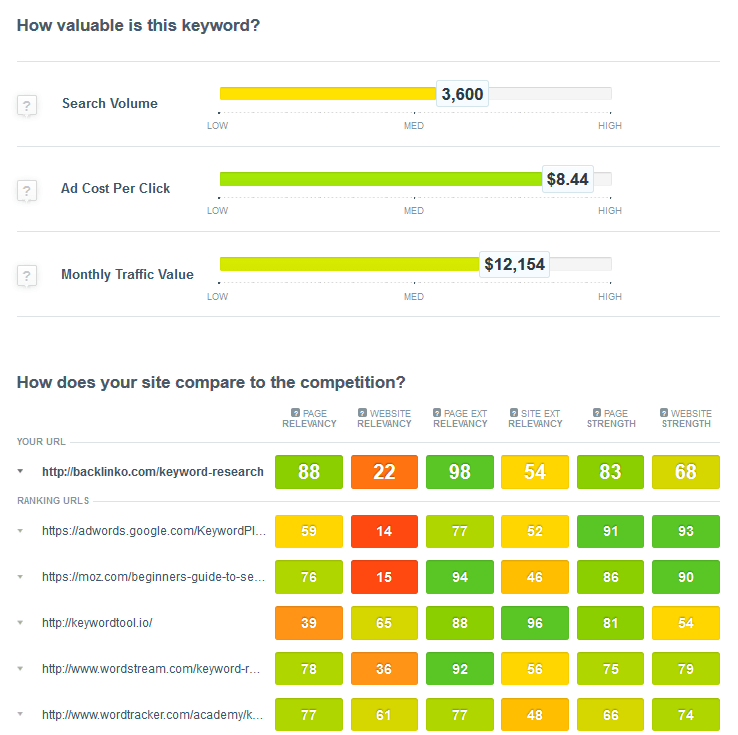 On top of that, you get huge amounts of data points for every keyword, including paid SEO tools like SEMRush and Moz and ability to monitor your performance. Choose the right keyword today, rank #1 tomorrow!